What will your toddler take carry his lunch in on the first day of school? 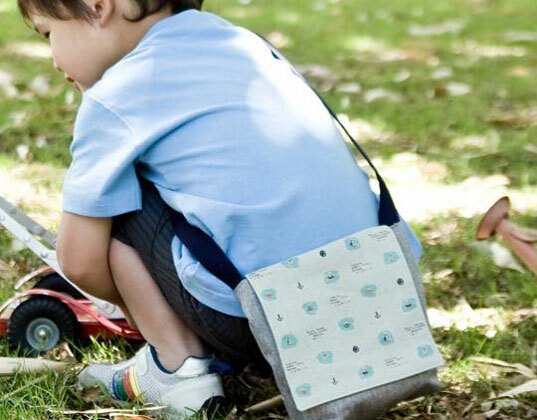 How about Ohdeedoh‘s find shown above– a bag from Mee and Bee? Design Mom asks readers to share their brilliant ideas for DIY playmats that kids can drive toy cars on; we loved Little Red Ren’s response. Take big brother out in the backyard or on a hike this weekend to collect cool stuff. Then, create a nature mobile inspired by Made by Joel for lil’ sis. You love yoga, so why not introduce your tot to the Zen practice? It’s a great activity for kids, and Mind, Body, Green shares how the pint-sized version differs from yours. If you’re going on one last summer getaway, print LilSugar‘s travel games (on recycled paper of course) to keep your tots busy on the way. What will your toddler take carry his lunch in on the first day of school? How about Ohdeedoh's find shown above-- a bag from Mee and Bee?